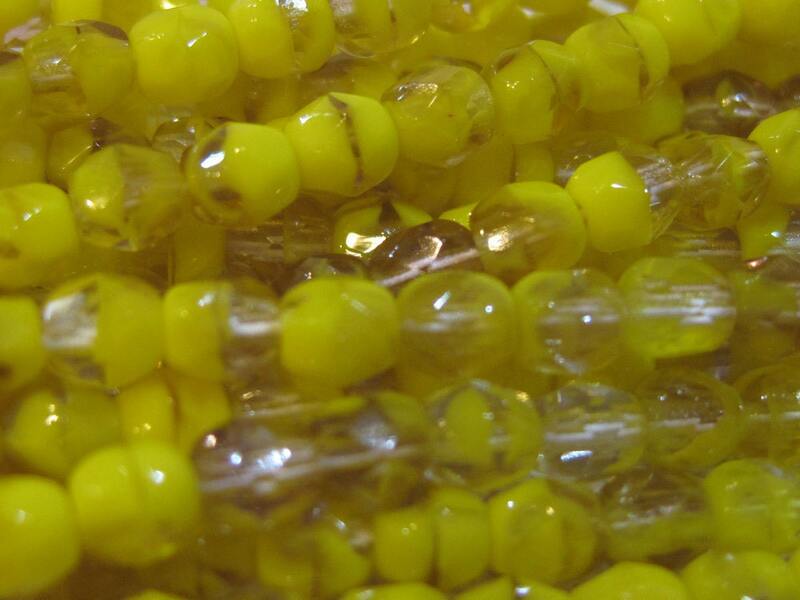 One strand of 50 yellow swirl Czech firepolish crystal beads measuring 4mm. Beads have a mix of patterns, opaque, some areas of transparency - very bright and cheery color! Add some sparkle to your jewelry creations! Very interesting color variation. Fast shipping!